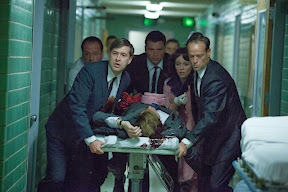 When Parkland Hospital received word that President John F. Kennedy was being transported to their ER on November 22, 1963 – less than an hour after he’d arrived in Dallas, Texas – their first assumption was that the commander-in-chief had become the victim of flu season. It was only after they were greeted by the sight of the First Lady’s blood-spattered pink suit, frenzied Secret Service agents and the near lifeless body of the nation’s leader that the young residents and nurses covering the ER’s lunch shift realized that the president was the victim of an assassin’s bullet rather than a virus. Reliving that traumatic day from the points-of-view of the men and women who were there, we’re given a thorough docudrama styled account of one of the most covered events in United States history. 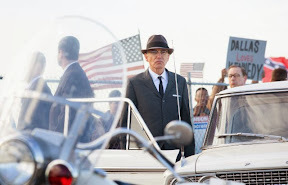 Pushing aside conspiracy theories of Oliver Stone proportion along with the melodramatic approaches often utilized in small screen miniseries biopic treatments of the Kennedy family in favor of a heavily researched, fact-based account, writer/director Peter Landesman adapted the ambitious Parkland from Four Days in November, the shorter publication of Vincent Bugliosi’s Edgar Award winning nonfiction work, Reclaiming History. And in doing so, Landesman manages to put us right in the midst of the chaos, taking advantage of the ensemble drama’s natural tendency to draw us into the action like flies-on-the-wall while we listen in, weighing the moral, ethical and humanistic dilemmas faced by the characters onscreen. 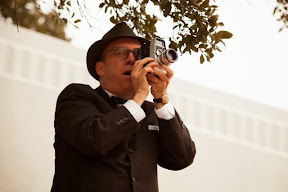 In addition to the bravura, emotionally exhausting opener that transports us to the titular trauma room as the young doctors on staff struggle to revive the president, we’re placed in the shoes of Dallas businessman Abraham Zapruder (Paul Giamatti), who unwittingly captures the shocking murder on his 8mm film camera and is then placed in the unenviable position of deciding what to do with the footage. 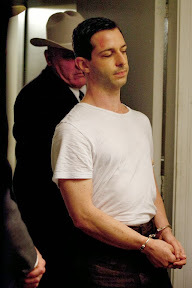 While adding up the facts to identify who pulled the trigger, we’re brought to FBI’s local office where Special Agent James Hosty (Ron Livingston) is horrified by the realization that the man he’d been personally tracking for eighteen months on a hunch – Lee Harvey Oswald (Jeremy Strong) – may indeed have been the one who fired the fatal shot. Never judging its characters' actions directly, Landesman leaves the viewer to decide right from wrong, painting an admirably objective portrait of four shocking days in November, bringing us into the confidences and conversations of citizens that hadn’t yet been captured onscreen in other accounts. And perhaps this is most effective in the characterization of the hardworking family man Robert Lee Oswald (James Badge Dale), who is utterly appalled and taken aback to learn that his very own brother is responsible for the death of the beloved figure. Thoroughly engrossing despite its surprisingly short running time of just eighty-seven minutes, while admittedly a few of the G-men and Secret Service agents blur together without the benefit of adequate screen-time to separate the sea of suits and set them apart in order for their words and actions to have the maximum dramatic impact, it’s a minor flaw in an otherwise mostly faultless film. Though it’s light on bonus features save for deleted scenes and filmmaker commentary, the work, which is reminiscent of an HBO original movie and fittingly produced by Playtone’s "Band of Brothers" in the form of Tom Hanks, Gary Goetzman and Bill Paxton, is transferred with razor-sharp clarity for its Blu-ray debut to coincide with the fiftieth anniversary of the Kennedy assassination. 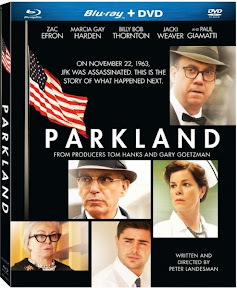 Emotionally charged and endlessly eye-opening with the benefit of excellent casting to make some of the underwritten individuals instantly more three-dimensional, Parkland depicts unexpected profiles of courage of otherwise ordinary men and women over the course of four extraordinary days.